Alaska Airlines is adding virtual reality to its in-flight entertainment menu in an experiment aimed at recreating a movie theater experience at 35,000 feet. The Seattle-based airline has partnered with SkyLights, a French-American immersive-media company, to offer VR headsets and noise-canceling headphones to first-class customers on 10 flights that go between Seattle and Boston, and Boston and San Diego. The users can watch 2-D and 3-D films such as “Three Billboards Outside Ebbing, Missouri” or “Ready Player One.” They can also click into 360-degree, head-tracking virtual-reality videos. 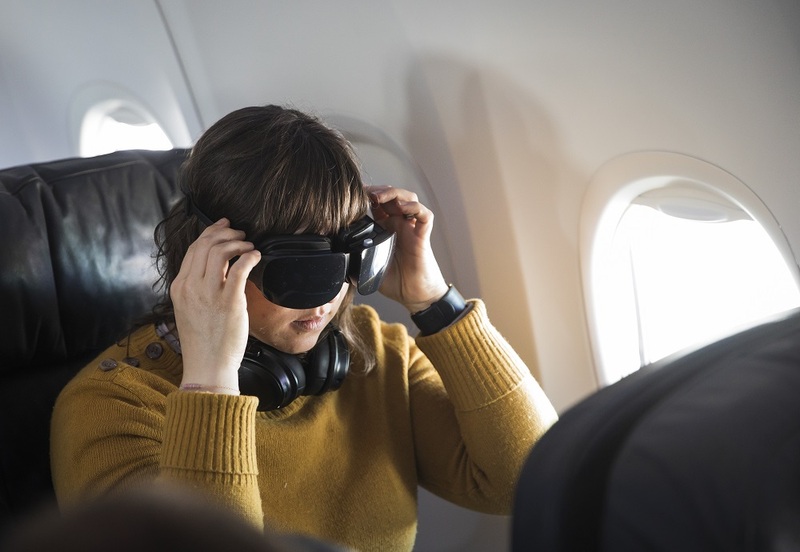 SkyLights’ lightweight Allosky VR headsets have been adopted for tryouts on other airlines, ranging from Joon and XL Airways to Lufthansa, but Alaska Airlines’ experiment ranks among the most ambitious yet. This entry was posted in GeekWire and tagged Alaska Airlines, Aviation, Entertainment, Technology, Travel, Virtual Reality. Bookmark the permalink.